Sun-Lite designed slide-in campers and canvas pop-ups for use with small pickup trucks. Sun-Lite went out of business in 2009, but their campers are still found on the used market. These hard top, slide-in campers are designed to fit over the bed of your pickup truck, with additional space over the cab. Some specifications vary from model to model, accommodating different truck beds and weight limitations, but the standard features are consistent. Sun-Lite camper models from the late 2000s sell for $6000 to $10,000, depending on the age, model and condition. The shortest model available from the 2009 edition is the 850-WT, at 14 feet 5 inches, and the longest from that year is the 1055 S, measuring slightly more than 18 feet. The width measures about 7 feet in all models, with two slightly wider at 7 feet 6 inches. The ceiling height depends on the model and is either 6 feet 3 inches or 6 feet 11 inches. The lightest slide-in available weighs 1,285 pounds, and the largest, heaviest model weighs 2,295 pounds. Sun-Lite slide in campers are built on a frame of plywood and fir, with no chipboard employed. Sidewalls have fiberglass insulation on the inside, and the whole camper is covered in a high-gloss .024-gauge aluminum skin. The single-piece roof is covered in vinyl and had a 12-year warranty when new. All of Sun-Lite's 2009 slide-in camper models sleep up to three people on beds and convertible sofas. The fresh water tanks hold 21, 22 or 27 gallons, depending on the model. A 20,000 BTU furnace comes standard. Sun-Lite slide-ins were available in four interior color schemes. A sliding access window allows you to reach through to your camper from the cab of your truck. All Sun-Lite slide-in campers were furnished with refrigerators, water on demand, porch lights, a roof rack and roof access ladder. 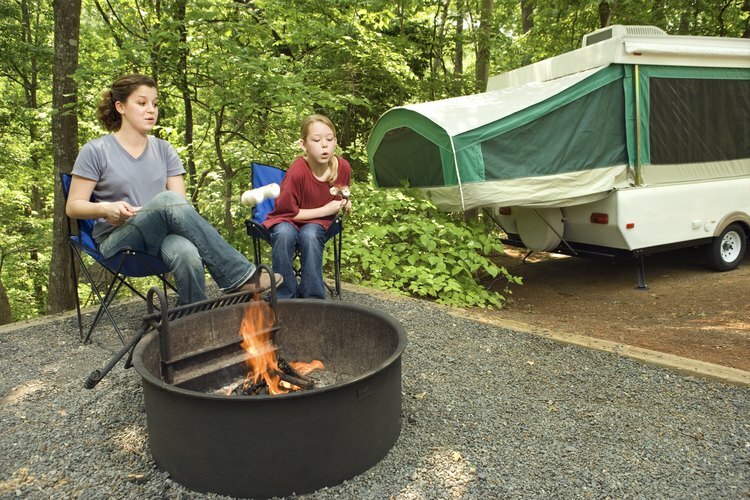 Smoke and carbon monoxide detectors are also located in the camper for safety, and the camper is outfitted with external gas lines, to keep cooking and heating fuel out of the camper interior. Accessories to tie down and secure your camper while on the road are also standard with every slide-in model.